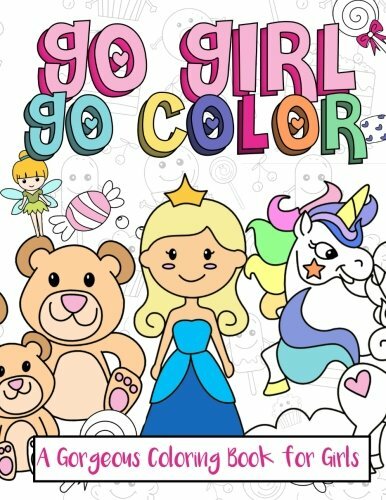 This BEST coloring book for girls to express their creativity, relax and have hours of fun! This gorgeous coloring book was made with your little girl in mind. It is great for girls of all ages and makes the perfect gift for the sweetie in your life! Whether she likes dogs, cats, bunnies, princesses, mermaids, castles, bears or other cute little animals, this book has it all! Help you child step away from the phone, tablet, computer, or tv that she is attached to. Help her express her creativity while enjoying herself as she colors these gorgeous, calming illustrations! Each design is printed on a single sided sheet with the reverse left blank to prevent bleed through no matter what tool your little lady decides to use!